The Université du Québec à Montréal (UQAM) is a dynamic, open, creative university recognized for the originality and quality of its programs, cutting-edge research, grounded social concerns, and its innovation in the arts. This City campus is bustling with students all year round, who wish to study in a comfortable and inspiring environment. If that comfort is disrupted, their ability to learn decreases. UQAM wanted to upgrade its Building Automation System (BAS) from a pneumatic-based system to a full electronic DDC System to improve operation and building performance. The project would include all valves and actuators associated with heating, cooling, and humidification for the two interconnected buildings on campus. The solution needed to provide the least disruption in service to these extensively used areas with improved system performance and less energy consumption. >Read on. UQAM’s Building Facility Team asked Steven Maton, Consulting Engineer from Bouthillette Parizeau (BPA), to review their building criteria. Since the BAS required to be replaced and upgraded, Regulvar was the best team for this project. Regulvar has extensive knowledge regarding control systems and upgradable building automation solutions, which are designed to optimize building performance as well as occupant comfort and security. Marie-Eve Plante-Perras, Project Manager for Regulvar, contacted Belimo for assistance with the custom retrofit solution. Marie-Eve is familiar with Belimo‘s full range of retrofit solutions, their ability to customize, as well as their quality, reliability and efficient lead times. UQAM is also familiar with Belimo‘s systems since they have many field devices already installed in their buildings. 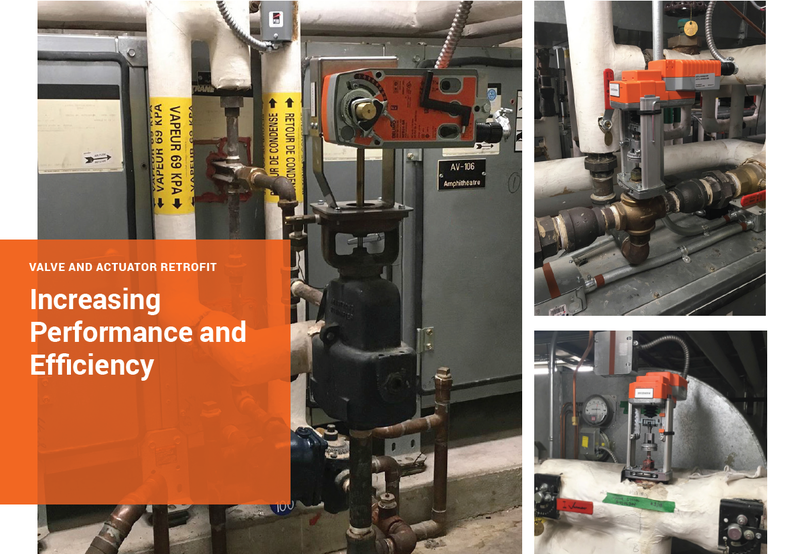 For this project, more than 100 valves and actuators required straightforward actuator retrofits and 20 required creative and custom replacement solutions. As an end result, the system upgrade allowed for an energy consumption reduction, therefore improving the energy profile and sustainability.